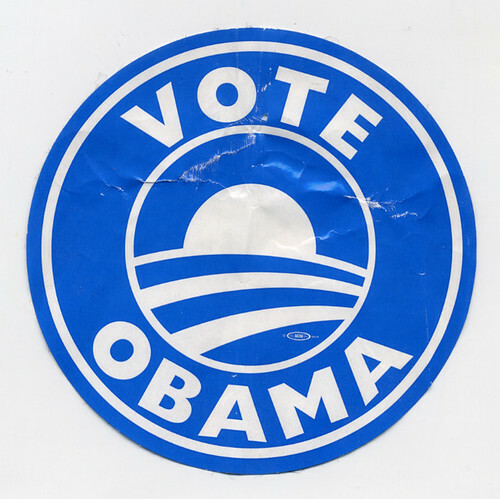 This is the sticker that I wore during the New York primary on Tuesday, February 5th, 2008. I was upset that Barack lost in New York, but not surprised. Although on the bright side he did better in Brooklyn than most other places so I'm glad I was a part of that. While I had fun handing out flyers and the like, the highlight of that day was being able to go and vote for Obama in an actual voting booth. This was a big deal to me as the 2004 race was finished well before the NY primary when I was involved in the Wes Clark campaign - and of course the years 2000 and 1996 were non-events. This page contains a single entry from the blog posted on November 4, 2008 3:27 AM. The previous post in this blog was Kellogg's Diner Reopens.